In the user menu, click My User. Review your profile settings. Please, see details in the My User Page section. On your profile view page, click the Edit button in the upper-right corner of the page. Click Additional and provide more information about you. New Password—Type a new password. Click the tooltip to learn more about what a password must consist of. Repeat New Password—Type the new password one more time to confirm it. Click Save or SaveClose in the upper-right corner of the page. When the integration with a third-party software or other work requirements demand a user to have the API access to OroCRM, generate an API key. You can use this key to access API while protecting your password from being disclosed to the third party. On your profile view page, click General Information. After the API key is generated, you will be able to execute API requests via the sandbox, Curl command, any other REST client or use the API via the custom application. Please note that an API key must be generated within the organization the data of which it will be used to access. Therefore, before generating an API key, make sure that you are logged into the desired organization. 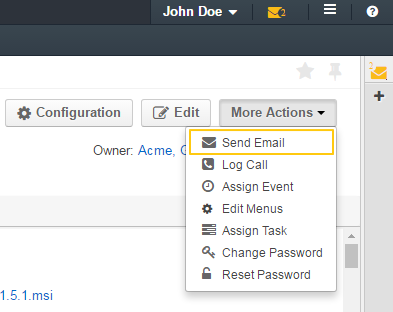 You can send an email message to other users or external emails. 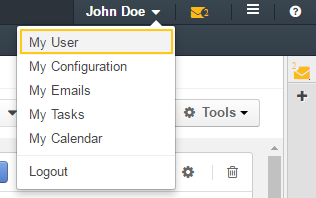 Click More Actions in the upper-right corner of the page and click Send Email on the list. In the General Information section, find the Emails field, and point to one of your email address—actually the one that you want to use to send the email from. Click the Send Email icon that appears next to it. 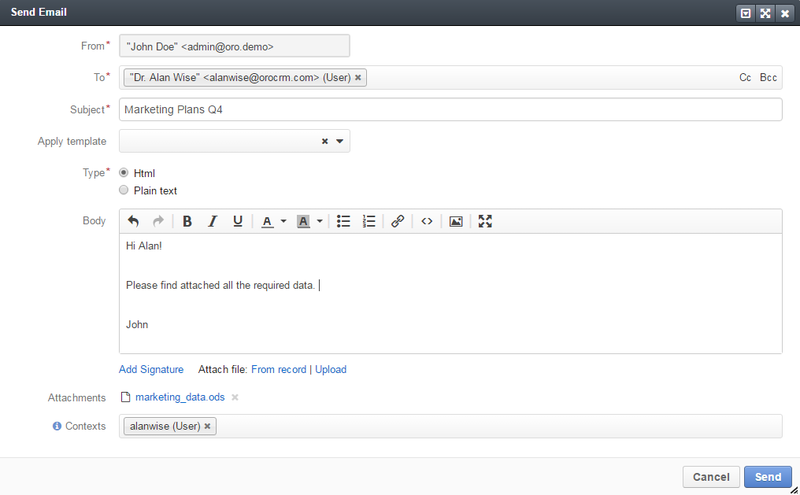 In the Send Email dialog box, specify the required data. For help on this, see the Email guide. Click More Actions in the upper-right corner of the page and click Log Call on the list. In the General Information section, find the Phone field, and point to a specified phone number. The Hangouts Call and Log Call icons appear next to it. Click the Hangouts Call icon to immediately call to the specified phone number. Click the Log Call icon to specify call details. In the General Infromation section, find the Emails field, and point to the required email. Click the Hangouts Call icon that appears next to it. 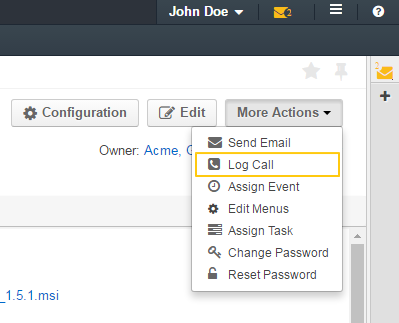 If you used Log Call action button or icon, in the Log Call dialog box, specify the required data. Click Log Call to log a call, or click the Start button next to Hangouts label to start a hangout call. The call will appear in the Activity section of the user view page. If you do not see icons and buttons that allow making Hangouts calls, make sure that the Hangouts functionality is enabled for the organization. See Google Integration Settings for more information. You need to be logged into your google account to make a Hangouts call. If you are using a browser other than Chrome, you also need to have the Google Hangout or Google Talk extension for your browser installed. For more information about calls, see the Calls guide. On your profile view page, click More Actions in the upper-right corner of the page and click Assign Event on the list. In the Assign Event To dialog box, specify the required data. For help on this, see the Calendar Events guide. Click Save. The event will appear in the Activities section of the page. On your profile view page, click More Actions in the upper-right corner of the page and click Assign Task on the list. In the Assign Task To dialog box, specify the required data. For help on this, see the Tasks guide. Click Create Task. 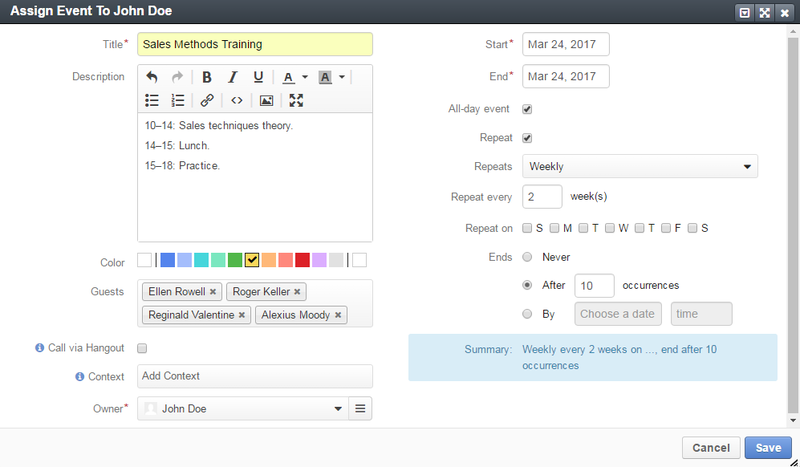 The task will appear in the Additional Information section, User Tasks subsection of the page. Note that configuration you set up will be applicable only for the current organization. On your profile view page, click Configuration in the upper-right corner of the page. On the Configuration page, in the left panel, click System Configuration. If required, make changes to your system configuration. For information about the fields, see the My System Configuration description. You can configure how the menus in the system will look for you. On your profile page, click More Actions in the upper-right corner of the page and click Change Password on the list. On the Menus page, click the menu you want to configure. Follow the instructions provided in My Menus Configuration. On your profile view page, click Edit. On your profile edit page, click Password. This action is available only for administrators. However, it is recommended to follow the instruction provided in the Change Password action description. In the Change Password dialog box, type a new password. Alternatively, you can click the Suggest Password link to generate a secure random password. To see / hide the entered password, click the Show / Hide icon next to the New password field. Click Save. The new password will be also sent to your primary email address. This action is available only for administrators. On your profile page, click More Actions in the upper-right corner of the page and click Reset Password on the list. 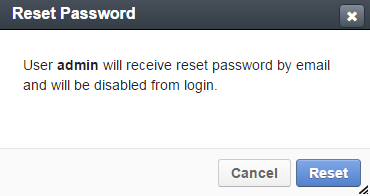 In the Reset Password dialog box, click Reset. The password reset link will be sent to your primary email address. You will be immediately logged out of the OroCRM and will not be able to log ib before your password is changed.